KTQ50 Gallery Talks are Back! The exhibition features 50 years of equipment, documents and artifacts. In a recent blog post for PBS' POV documentary strand, Heather McIntosh writes that, "centered around themes of craft, community, and change, the curated items represent the organization’s history and ideologies, not to mention documentary history more generally." Some of the speakers that will be giving talks include our Technical Director Jim Morrissette, Almost There Directors Dan Rybicky & Aaron Wickenden, as well as Kartemquin Co-Founder Gordon Quinn and Rachel Dickinson. A Full list of the speakers and topics is below. 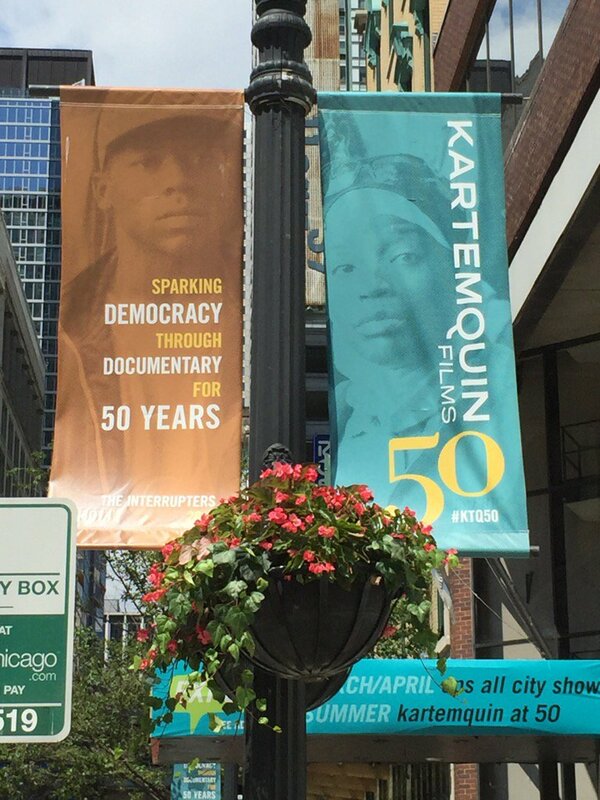 Topic: Kartemquin's Diverse Voices in Documentary alumni member, Thavary Krouch, will hold a meeting about the program, share the works-in-progress and “Filmmaker Chat” interviewing a fellow DVID current or alums' experiences on topics ranging from diversity in documentary filmmaking to audience engagement and Kartemquin's role in promoting both.